Tony Cragg was born in Liverpool in 1949. He began his education by focusing on technical studies that led him to work in a biochemistry laboratory before embarking on his art studies. He was awarded his M.A. from the Royal College of Art in London in 1977. He has resided in Wuppertal, Germany since 1979, and teaches at Düsseldorf Academy of Fine Arts. In his recent works Cragg has been pushing towards a new abstracted understanding of the figure. For the last years, he has been playing with the notion of compression and expansion in the use of totemic structures where the appearance of the human profile is often a reclusive aspect of the overall structure. He has also taken the figure in an almost futuristic manner and divided it into quadrants at its very core. For example, an abstracted idea of a portrait suddenly becomes four different surfaces creating four types of images all joined at the back by an imaginary spine. He uses a composite structure created from slices of wood, epoxied together in forms that are curved, jagged, sturdy yet rigorous. For his bronzes and stainless steel he has developed a method for casting forms that appear to be liquid or molten. In recent years, he has made mainly sculptures of wood, bronze, stone and mirror-finished stainless steel. The patina of the bronzes ranges from black and brown to yellow and red. 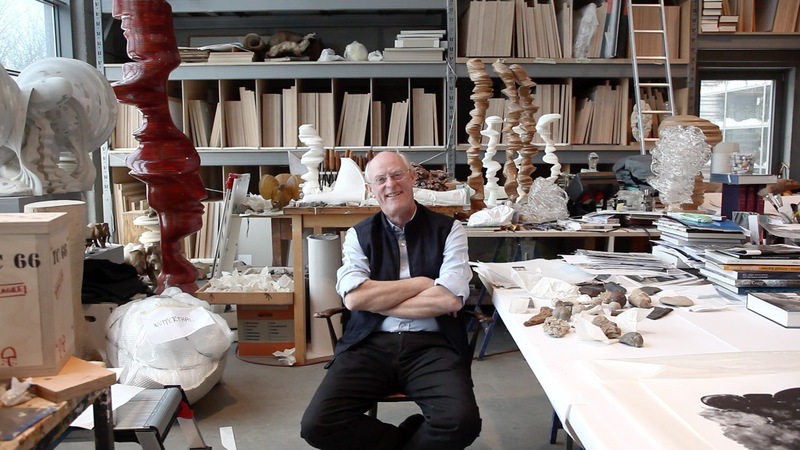 Tony Cragg has also produced a considerable œuvre of drawings and watercolours. The drawings serve him not only to explore new forms, but far beyond that, as a way of realising on paper sculptures which could not be realised with regard to statics and gravity.